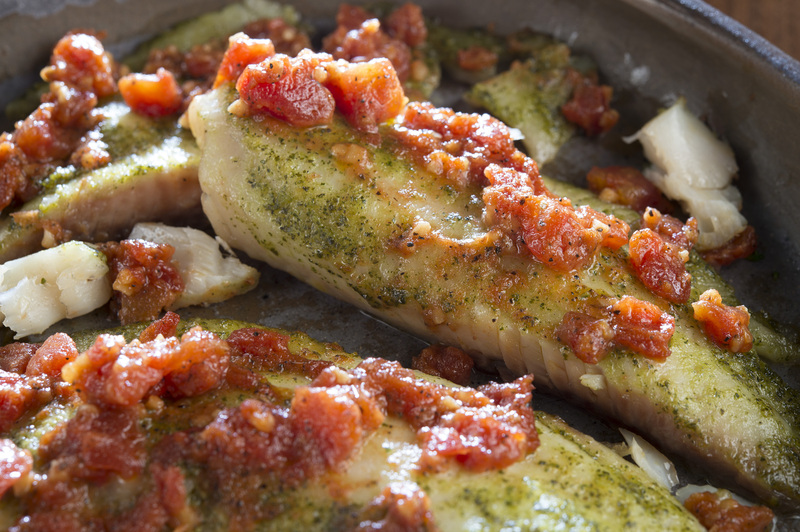 Heart healthy tilapia fillets with a rich, distinctive pesto, served with a unique tomato and roasted garlic vinaigrette. Place tilapia on greased baking sheet. Brush with pesto mixture. Bake uncovered at 350 degrees for 10-15 minutes. Meanwhile, warm tomato vinaigrette in small sauce pan.